Back in the early 90s when I first started my practice the subconscious mind or the unconscious mind as it was often called, was also known as the dark side or the shadow. What lurks in the shadows? Among many things the shadow houses our memories, perceptions, unresolved issues, and parts of ourselves that we are not too comfortable with. It’s all that stuff we put to the back of the mind to look at sometime later, or perhaps never at all. In the dark side are the parts of ourselves that we’re denying or are disconnected from. Sadly, whatever it is you find most loathsome about another is a projected aspect of yourself. It is the stuff that we hide and deny in ourselves, that we then project outward onto others we are in relationships with. When we point the finger at our children, our spouses, partners, parents, siblings, friends or co-workers, we really need to look at the three fingers pointing back at ourselves. There’s the real judgement. If we refuse to look at our baggage it can become toxic; leaking out, draining our energy, threatening our relationships, clouding our vision and leaving us feeling heavy and lethargic. So what is our baggage? It’s mainly conditioning. Our programming, especially that from early childhood, that we are driven by. We are usually acting out from the early messages we were given and propelled by the dynamic set up in those formative years. Without questioning it, we repeat the old patterns over and over again, like robots. I co-authored the recently released I Just Want To Be Happy, which explores our early conditioning, the roles that we adopt and, to some extent, the way the shadow side operates. In the book we aim to shed light on what really makes us tick. As we gain insights and understandings, we begin the process of making the dark light. In taking more responsibility for ourselves, we gain more control of our emotions and lives. 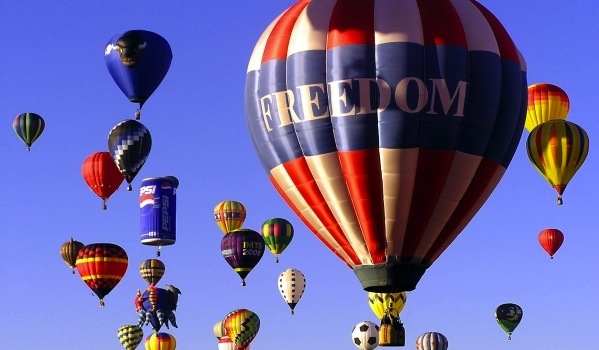 We develop more autonomy and have a stronger sense of freedom. Time to lose some baggage! So, how brave are you feeling? 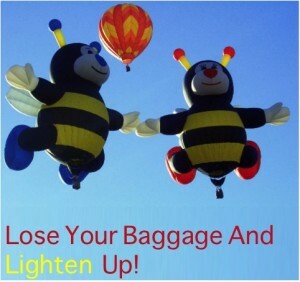 Are you ready to lose some baggage? Want to become a bit more enlightened? Great! Without thinking too hard about it, write down three responses that come to mind and remember to be honest! That should give you something to think about! Why can’t you stand it? What is it about them, that, it? Ponder these questions in the coming days. When you have some answers ask yourself about where you mirror this, and how. For example, “I can’t stand the way my friend always judges my behaviour the next day”. Where do you do this, a) to others, or b) where do you judge yourself or c) Is there an area where it might be helpful to judge yourself? Have fun! Notice what emotions this exercise brings up in you and do leave us a comment with your feedback! Next post: What Would You Achieve If You Knew You Couldn’t Fail?